Assistant Attorney General for National Security John C. Demers, Acting U.S. Attorney Tracy Doherty-McCormick for the Eastern District of Virginia, and Assistant Director in Charge Nancy McNamara of the FBI’s Washington Field Office announced the charges. Lee is a U.S. citizen who speaks fluent Chinese. According to the indictment, Lee was a case officer for the Central Intelligence Agency (CIA) until 2007. After leaving the CIA, Lee resided in Hong Kong. The indictment alleges that in April 2010, two Chinese intelligence officers (IOs) approached Lee and offered to pay him for information. The indictment alleges that Lee received taskings from the IOs until at least 2011. The taskings allegedly requested that Lee provide documents and information relating to the national defense of the United States. According to the indictment, the IOs provided Lee with a series of email addresses so that he could communicate covertly with them. The indictment further alleges that Lee prepared documents responsive to the taskings, made numerous unexplained cash deposits, and repeatedly lied to the U.S. government during voluntary interviews when asked about travel to China and his actions overseas. In August 2012, Lee and his family left Hong Kong to return to the United States to live in northern Virginia. While traveling back to the United States, Lee and his family had hotel stays in Hawaii and Virginia. During each of the hotel stays, FBI agents conducted court-authorized searches of Lee’s room and luggage, and found that Lee was in unauthorized possession of materials relating to the national defense. Specifically, agents found two books containing handwritten notes that contained classified information, including but not limited to, true names and phone numbers of assets and covert CIA employees, operational notes from asset meetings, operational meeting locations and locations of covert facilities. Agents also found a thumb drive on which was stored a document later determined to contain information classified at the Secret level. During voluntary interviews with the FBI, Lee admitted preparing the document in response to taskings from the IO. An indictment is merely an allegation and the defendant is presumed innocent unless and until proven guilty beyond a reasonable doubt in a court of law. If convicted, Lee faces a maximum sentence of life in prison. The maximum statutory sentence is prescribed by Congress and is provided here for informational purposes. If convicted of any offense, the sentencing of the defendant will be determined by the court based on the advisory Sentencing Guidelines and other statutory factors. This case was investigated by the FBI’s Washington Field Office. The case is being prosecuted by Trial Attorneys Adam L. Small and Patrick T. Murphy of National Security Division’s Counterintelligence and Export Control Section, and Assistant U.S. Attorney Neil Hammerstrom of the Eastern District of Virginia. 2011: FBI starts a CI investigation on who or what compromised the assets; focuses on suspected mole Jerry Chun Shing Lee; finds his two small books with classified info from his work at CIA. FBI watches as he keeps these books over the years. A former C.I.A. officer suspected of helping China unravel the agency’s spy network in that country was indicted on Tuesday on a charge of conspiring to commit espionage. . . . Mr. Lee was at the center of an intensive F.B.I. and C.I.A. investigation into how the Chinese determined the identities of agency informants. The dismantling of the C.I.A.’s spy network in China was one of the worst American intelligence failures in years. . . . The officer, Jerry Chun Shing Lee, 53, was arrested by F.B.I. agents in January after federal prosecutors accused him of illegally possessing classified information. But the new charge reflected a willingness of prosecutors to disclose sensitive details they might have been reluctant to acknowledge publicly. . . . Detained CIA agent Jerry Chun Shing Lee went from being an operative in the world’s top spy agency to investigating counterfeit cigarettes in Hong Kong, sources have told the Post. He later went on to set up his own company to do similar work, before joining auction house Christie’s. According to a security source with several decades of experience in the sector, Lee worked for Japan Tobacco International after he left the CIA in 2007. “He worked for the investigations team, which involved looking for people who smuggled and counterfeited tobacco,” the source said. Lee, who is also known as Zhen Cheng Li, was with the multinational firm only for “one or two years”. Then, “there was a fall out between him and his boss. He eventually got fired,” the security expert said. 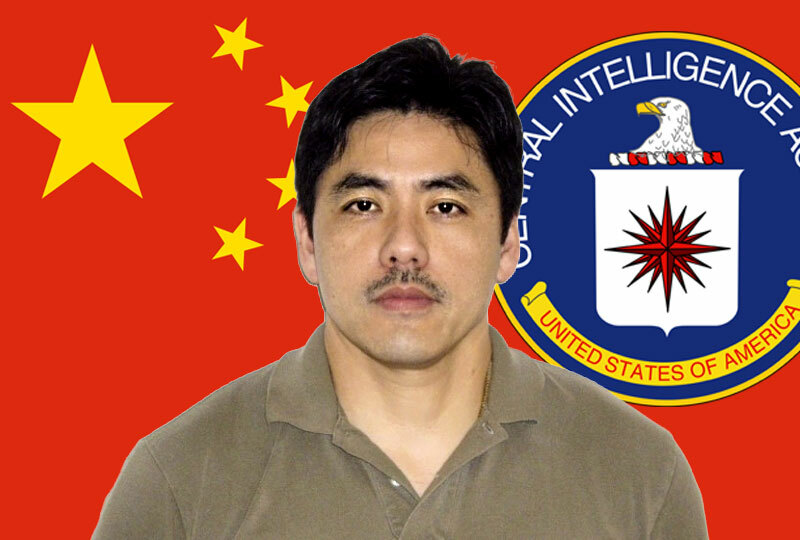 According to the source, Lee worked for David Reynolds, who had been a CIA agent between 1988 and 2002, and a US consular officer in Guangzhou in the following two years. Reynolds then joined Japan Tobacco International in Hong Kong as vice-president of global brand integrity, a role he held from 2004 to 2010. . . .
Former executive at Japan Tobacco International tells the Post Jerry Chun Shing Lee was fired after they suspected he was leaking sensitive information to China . . .
. . . “We became aware of problems with Jerry within a year of his starting with the company,” the former Japan Tobacco International executive told the Post. According to this manager, after Lee – also known as Zhen Cheng Li – became aware of the details of some cases, operations would take unexpected turns. “Several of the shipments of counterfeits purchased as part of the investigations were seized by the Chinese authorities or simply disappeared, and one of our contract investigators was arrested and imprisoned in China,” the source said. The former executive said the multinational could not prove that Lee was directly behind these incidents.